Save The Strays Foundation hosts many adoption and fundraising events though the year. We are teaming up with several businesses thoughout South Florida, promising a bright future for our animals. Please visit our site frequently to support our cause at future events! Woofstock 2017 with our former rescues Kanie & Tarpon and their loving family! A great turnout for Sweat for the Strays Round 2! Sweat for the Strays Round 2! Save the Strays Foundation will be at the Walk for Animals on Saturday, February 27th in Bayfront Park. Come visit us at the Adoption Arena and meet your furry best friend! Our new quick-dry men's and women's tank tops will be available at the Walk for Animals for only $20! Save the Strays Foundation had a great time at Paws 4 You's Howl O Ween event in Pinecrest Gardens! Kids and fur-kids enjoyed treats and costume contests, all for a good cause! Save the Strays Foundation volunteers enjoying beautiful Clematis Street in West Palm Beach during the Pup Crawl! Join us in Downtown West Palm Beach as we attend the 5th Annual Pup Crawl! There will be a lot of activities, entertainment, and of course adoptable animals! Stop by our tent and say hello from 10 am - 4 pm on Sunday, September 27th! Thank you Om Beats Studio for hosting Om Beats the Movement benefiting Save the Strays Foundation and Vita Coco Water for providing the class with refreshments! Tune in Tuesday, June 23, 2015 at 10 a.m. to hear Save the Strays Foundation as guests on the pFunkcast show! We had an amazing turnout for our 1st Sweat for the Strays at Legacy Fit! Everyone had a great work out, 3 kitties have potential adoptors, and Pepper was adopted! Thank you to Suja Organic Juice, Miami Fit Wear, Vita Coco, and Inoar Professional! Sweat for the Strays at Legacy Fit on Saturday, June 6th! Join us at a special boot camp at Legacy Fit, the #1 gym in Miami! Your donation goes directly to helping us save the lives of stray animals. All levels are welcomed - so come sweat for the strays! Space is limited- please RSVP! (Please put participant name in the note box). $25 at the door - cash or credit card accepted. Arrive 10 minutes early! Sweat for the Strays and replenish elecrolytes with free coconut water provided by Vita Coco! Inoar Professional is providing samples of their Aragan oil to participants! You also have a chance to win their Aragan Oil Home Hair Kit valued at $112 in our raffle! We will be raffling a high-quality pair of leggings and sports bra from Miami Fit Wear! Keep the fitness momentum going with this raffle prize! Two (1) hour personal training sessions with a certified instructor valued at $100! Re-nourish after the boot camp with free Suja organic juice samples! Visit the Save the Strays Foundation’s booth at Paws 4 You Rescue’s 2nd annual Run Fur Fun 5k! We will be there with adoptable dogs – you may even see them running in the race! You can register for a timed 5k or a 1 mile fun walk. Registration begins at 2 pm and the race starts at 4 pm. Dogs are welcomed at the event! Participants receive a medal, t-shirt, drawstring backpack, and bandana! Pre-register for the Run Fur Fun at http://paws4you.org/5k. We will be at Coastal Boxer Rescue's RescueFest on Sunday, March 29th! This event is at the dog-friendly TY Park in Hollywood so you can bring your pup. There will be doggie contests and fun for the entire family. Come visit us and see our adoptable dogs from 10 am - 3 pm! On Saturday, February 28, 2015, we will be at the Walk for Animals at Bayfront Park in Downtown Miami. Come visit our table at the Adoption Arena and see our adoptable dogs! The free event is from 8 a.m.-12 p.m. and is dog-friendly. Discounted parking is available at the Bayside Marketplace garage. E-mail: info@savethestraysfoundation.org for more information. Our 1st rescue reunion was a day of fun for all! On Sunday, October 12, 2014 we had our first RESCUE REUNION! We had bandanas for all of our adopted dogs and treats for their human companion. What a beautiful day seeing how the strays we rescued are loved by their forever families. It was a SundayFunday even for those that did not have a dog - our adoptable dogs filled the spot to play with everyone! Save the Strays Foundation will be at the 2nd Annual Craft Fest Grand Tasting on Thursday, October 9, 2014 at the beautiful Cruz building in Coconut Grove. Stop by our table to say hello and check out our raffle prizes and silent auction! UPDATE: We had a very successful day at the Walk for Animals! Two puppies were adopted from Save the Strays Foundation and we were able to introduce our organization to many dog-lovers! 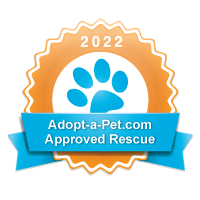 On Saturday, February 22, 2014, we will be at the Walk for Animals in Bayfront Park - come visit our table at the Adoption Arena and see our adoptable dogs! The event is free and discounted parking is available at the Bayside Marketplace garage. Save a Stray for the Holiday! Update: We had a great turnout for our holiday event! Thank you for helping us raise funds to support stray animals. Please check our webpage for strays that are still looking for a home! On Thursday, December 12, 2013, we will be hosting an adoption event at the Downtown Athletic Center from 5 p.m.- 9 p.m. Join us for a fun filled event & help save a stray for the holiday! Thank you to everyone who attended our first adoption event! All of our silent auction items were bid on and the money that was donated will help us save and care for more animals. Our first adoption event will be on Thursday, September 12th 5 p.m. - 9 p.m. at the Dade County Police Benevolent Association's Banquet Hall located at 10680 NW 25th Street, Doral, FL 33172. In addition to adoptable animals there will be hors d'oeuvres, a silent auction, grand prize raffle, DJ & dancing! $20 donation to benefit Save the Strays Foundation. Join us! Attendees had a great time at our 3rd Boxing for a Cause class at the Downtown Athletic Club. The class was Monday, July 29th from 6:30-7:30 p.m. All fitness levels were welcomed and everyone enjoyed getting fit while helping stray animals! The Downtown Athletic Club is located at: 200 S. Biscayne Blvd (Southeast Financial Center), Ste 15A, Miami, FL 33131. Gym membership is not required to attend the Boxing for a Cause classes & garage parking is validated! The $20 donation per class benefits Save the Strays Foundation. Check back for updates on our next Boxing for a Cause!